Before beginning with some thing about web services. Do you have any idea about WEB SERVICES like what is it, how they work , etc.. Ok I shall I tell you basic about Web Services and Later will tell you about WEB SERVICES with ASP.NET. Now lets begin with the topic. You know Web Services can convert your application into a Web-application, which can publish its function or message to the rest of the world.The basic Web Services platform is XML + HTTP. Web services describes a standardized way of integrating Web-based applications using the XML, SOAP, WSDL and UDDI open standards over an Internet protocol backbone.Web services allow organizations to communicate data without intimate knowledge of each other’s IT systems behind the firewall. Web services do not require the use of browsers or HTML. Web services are sometimes called application services. Web services allow different applications from different sources to communicate with each other without time-consuming custom coding, and because all communication is in XML, Web services are not tied to any one operating system or programming language. For example, Java can talk with Perl, Windows applications can talk with UNIX applications. Web services are useful in linking applications operating on different network platforms, hardware, software, and databases, performing critical functions for many businesses. For instance, web services may be used to provide optimal interaction between certain business functions and important applications shared with an organization’s customers, partners, and vendors. Web services are also useful for combining software and services from different companies for the purpose of providing a seamlessly integrated service. Web services rely on numerous different protocols for the exchange of data. Such protocols include Hypertext Transfer Protocol (HTTP), File Transfer Protocol (FTP), and Simple Mail Transfer Protocol (SMTP). Extensible Messaging and Presence Protocol (XMPP) may be used as well. Web services are made available from a business’s Web server for Web users or other Web-connected programs. Providers of Web services are generally known as application service providers. Web services range from such major services as storage management and customer relationship management (CRM) down to much more limited services such as the furnishing of a stock quote and the checking of bids for an auction item. The basic Web services platform is XML + HTTP.XML provides a language which can be used between different platforms and programming languages and still express complex messages and functions.The HTTP protocol is the most used Internet protocol. Hope you Liked the content. Below is my Facebook Page. Like it and stay updated . Happy Reading till my next post. Before that I tell you something about HTML5, let me tell you that I recently attended Microsoft Web Camps at Mumbai. Where one of the topic was HTML5. This post would also contain some summarized content of the Session. Here first have a look at HTML5 Logo. The Logo is designed by Ocupop design agency, and it’s licensed under Creative Commons Attribution 3.0, a permissive license that allows ‘remixing’ of the licensed work. The logo has been made available on stickers and t-shirts, and there’s a gallery already promoting examples of the logo in use..
HTML5 is the next major revision of the HTML standard, currently under development.HTML5 introduces a number of new elements and attributes that reflect typical usage on modern websites. HTML5 is the cornerstone of the W3C’s open web platform; a framework designed to support innovation and cherish the full potential the web has to offer. Announcing this revolutionary collection of tools and standards, the HTML5 identity system provides the visual vocabulary to clearly classify and communicate our collective efforts. In HTML 5 as you can see in the fig JAVASRIPT has a major portion then is CSS3 and very little HTML. HTML 5 is also called as Working Draft.HTML 5 is living thing. There are many more tags. You can find them in Documentation Link of W3C. Link is given at last of this post. It’s nothing but a way to locate your location using geolocatio API. Code Snippet for it. Your browser must support HTML5. Allow access. This allows you to have real time chats, faster games and better communication. It uses Web Workers, Web Sockets for it. Below is the the code snippet for adding audio to web page. With this feature, separate background threads can be used for processing without affecting the performance of a webpage. This is extremely useful for applications with rely on heavy scripts to perform such functions. By using SVG, Canvas, WebGL, and CSS3 3D features, you’re sure to amaze your users with stunning visuals natively rendered in the browser. CSS3 delivers a wide range of stylization and effects, enhancing the web app without sacrificing your semantic structure or performance.Additionally now you can use a wide range of fonts on the WEB. To understand more form controls have quick look at the Video. To see the HTML5 specification of W3C click here. To see the demo of all features of HTML5 click here. To get a Browser that supports HTML5 see the downloads section. To get a HTML5 Batch for you as I have got visit here. I have spent a lot of time while having a walk through the new features of Visual Studio 2010. These are the new features I came across while using VS 2010. Visual Studio (VS) 2010 introduces a new Editor composed of extensible objects using the Microsoft Extensibility Framework (MEF). It is built on WPF to provide a class 1 graphics engine with APIs written & designed for the latest version of .NET. Other components moving to this architecture in VS2010 include the Visual Studio Languages, Web Tools, the Debugger, the new C++ project system, DSL Tools, and SharePoint Designer. Each of these components are using or offering MEF extension points. VS 2010 incorporates a new WPF-based presentation layer and many core UI assets have been migrated to WPF, for example the menus and toolbars, code editor, start page, etc. VS 2010 also incorporates a fresh new theme that will provide a pleasant and favorable work environment for developers. VS 2010 makes it easy to integrate WPF UI with the VS WPF visual tree through the use of new VS window hosting interfaces, and in doing so, inherit VS 2010 theme styling. The Visual Studio Shell enables developers to rapidly create and distribute their own custom tools by building them on top of the core Visual Studio IDE. There are two shell “modes” and both are available via a royalty-free license. The VS2010 Extension Manager enables developers to more easily share, acquire and manage Visual Studio Extensions. It will support extensions such as Project Templates, Item Templates, VS Packages, Managed Extensibility Framework (MEF) components, and even custom extension types . The extension manager will display the same content and extensions as the Visual Studio Gallery ( www.visulalstudiogallery.com ) which will continue to provide browser access as an alternative to view and download VS extensions.The VS2010 Extension Manager also introduces a new file format for deployment of VS extensions. VSIX files are based on the Open Packaging Convention (OPC) Zip format and contain a manifest and payload. 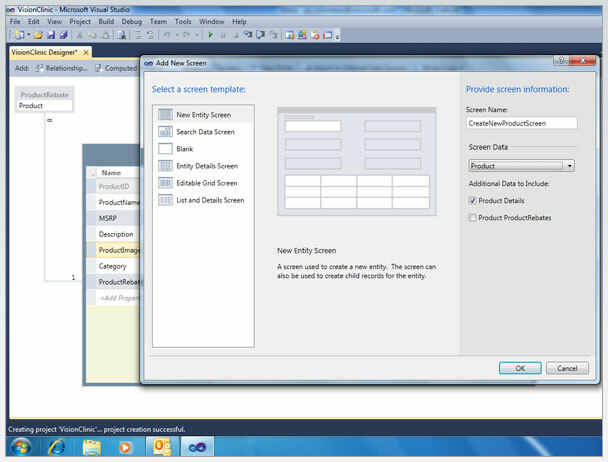 The WPF Designer extensibility API will be changing in VS 2010 to accommodate both WPF and Silverlight. Visual Studio 2010 introduces new SharePoint tools in an effort to make SharePoint development easier and more intuitive for .NET developers. These tools include new project and item templates you can use to create SharePoint sites, lists, document libraries, workflows and other types of SharePoint content. Visual Studio 2010 also provides new visual designers for Web Parts, application pages, business data catalog (BDC) models, and packaging. 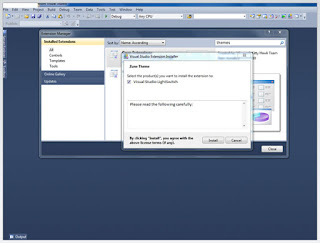 In addition, in Visual Studio 2010 you can now use Server Explorer to connect to your SharePoint sites and navigate the hierarchy and contents of these sites from within Visual Studio. As of March 2009, the Windows Azure Tools extend VS2008. Future releases of the Windows Azure Tools have support in VS2010. It’s product or a service by Fuse Labs of Microsoft. Before telling you something about Montage lets get to know something about FUSE LABS. They work with community and internal partners to ideate, develop, and deliver new social, real-time, and media-rich experiences for home and work that allow people to create, connect and collaborate with what matters to them. They have setup many such services one of it is MONTAGE. Its Cloud App by Fuse Labs..
Montage is a way to share a album of web. Same like sharing links on Twitter , Facebook. Montage is a shareable, personal, visual album of the web. You are able to design your personal Montage around a topic by adding content that pulls information from a variety of sources including, RSS feeds, Twitter, Bing News, YouTube, video and Bing Images. Your Montage is constantly evolving as you arrange each area with the content of your choice – which is easy, intuitive and fun; and can be on any topic from, movies, sports, to robots. Today, the way in which we share information on the Web is changing, and social search has quickly become one of our key paths of exploration. Shared links on Facebook now drive more traffic to major content portals than Google. Average Web users need tools that can mold the new Web into truly custom content experiences for them and their micro-communities of friends and family. This is why we’ve created Montage—a flexible web-based service that makes it fun and easy to create and share a visual album of the web on the topics you care about. You can design your Montage around any topic you can imagine by adding content that pulls information from a variety of sources, including RSS feeds, Twitter, Bing News, and YouTube. What makes Montage a valuable new tool for people who want to learn and share on the Web? Your Montage is constantly evolving as you create and arrange each area with the content of your choice. Even after you’ve published, your Montage keeps itself up-to-date by automatically pulling in new tweets, news, pictures and more. It’s easy, intuitive and fun to get started. One of the things that makes Montage so unique is its ability to publish your content outward into the communities that matter to you. Montages can be easily shared via Facebook and Twitter, letting you share your content with friends, family, or anybody with similar interests. Plus, you can ‘remix’ other users’ Montages to put your own unique spin on them and keep the fun and conversation moving. Your imagination is the only limit to what topic you use to create a Montage—anything from movies to sports to robots. Montage gives you insight into any topic you choose that can take you as deep as you want to go. Right now, anyone who wants to view a Montage can, but only a select few partners have the ability to build and share Montages. In the coming weeks, we will open it up for anyone to be able to build and share their own Montages – stay tuned and follow @getmontage on Twitter to get the announcement when it happens. Friends i Montaged now you also Try it..
Microsoft Nashik User Group would be conducting an online event on Microsoft Visual Studio 2010 Light Switch. Event would be conducted on Saturday, 20th November 2010 at 7.00 p.m. As the event is being hosted online, we are requested to download Microsoft Live Meeting client. Visit our website for more details or join the event on Facebook. Micronug (Nasik User group) is back with an event. First time MICRONUG will be hosting a online webcast event. This Event will cover the Microsoft’s newest member of Visual Studio Family. That is VISUAL STUDIO LIGHTSWITCH . Webcast for this technology will be hosted on 20th November 2010. This is an invitation to you to attend this event on behalf of Micronug Team. This is a new technology. With the increase of demand of Cloud services there is need of people who know how to develop application for Cloud. 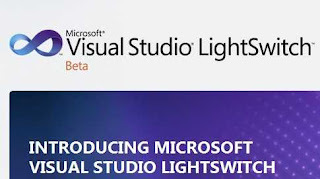 Visual Studio LightSwitch can be your Partner in that field. 3. 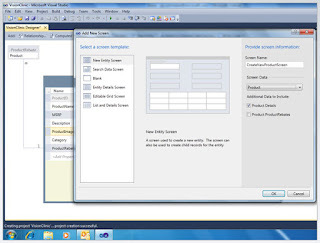 Application of Visual Studio 2010 LightSwitch. Hope you give your valuable presence and benefit the most from this event. Visit our website for more details or join the event on Facebook. ASP.NET WebMatrix is a free tool released by Microsoft for the rapid development of web applications running on servers which support ASP.NET. It is a managed application written in the programming language C#. 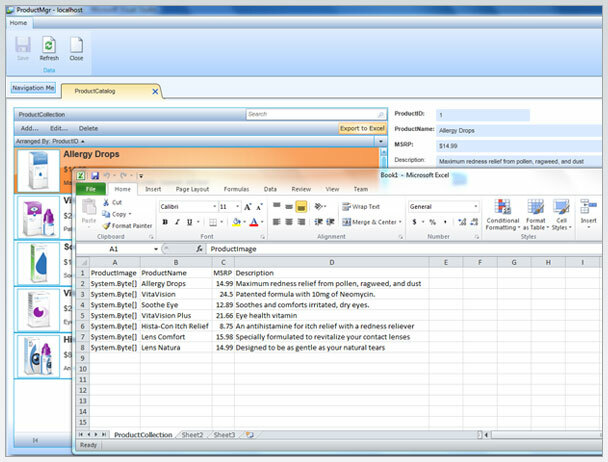 conceived as a test bed for working with ASP.NET controls in a designer environment. The ASP.NET team saw a number of benefits for a tool of this type, and used it to try out a variety of additional ideas for creating an IDE that could act as a lightweight alternative to Visual Studio.The project was developed into a product (originally code-named “Saturn”) that was released in the summer of 2002 as free download on the www.asp.net Web site, without official support and with only word-of-mouth marketing. WebMatrix is a task-focused tool that is designed to make it really easy to get started with web development. It minimizes the number of concepts someone needs to learn in order to get simple things done, and includes and integrates all of the pieces necessary to quickly build Web sites. 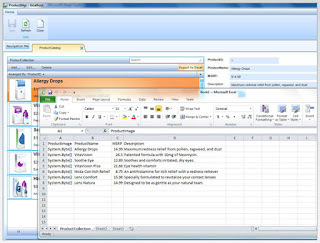 In 2010, Microsoft announced the beta version of a new product, also named WebMatrix (in one word). WebMatrix provides an easy way to get started with Web development. With an integrated code editor and a database editor, Web site and server management, search optimization, FTP publishing, and more, WebMatrix provides a fresh, new Web site development experience that seamlessly bridges all the key components you need in order to create, run, and deploy a Web site. WebMatrix is a 15MB Download (50MB if you don’t have .NET 4 installed) and is quick to install. The 15MB download includes a lightweight development tool, IIS Express, SQL Compact Edition, and a set of ASP.NET extensions that enable you to build standalone ASP.NET Pages using the new Razor syntax, as well as a set of easy to use database and HTML helpers for performing common web-tasks. WebMatrix can be installed side-by-side with Visual Studio 2010 and Visual Web Developer 2010 Express. Note: Razor support within ASP.NET MVC applications is not included in this first beta of WebMatrix – it will instead show up later this month in a separate ASP.NET MVC Preview – which will also include Visual Studio tooling support for it. The Microsoft® Web Platform Installer (Web PI) makes it easy for you to download, install, and keep up to date on the latest software components of the Microsoft® Web Platform for development and application hosting on the Windows® operating system. Web PI does the work of comparing the newest available components across the Microsoft Web Platform against what is already installed on your computer; you can see what is new and what you haven’t yet installed. You can use Web PI to learn more about different components and install one or more components in a chained installation, with Web PI handling reboots and logging failures where applicable. The currently available software components include Internet Information Services 7 (IIS 7), PHP 5.2.11, Microsoft® SQL Server® 2008 Express with Service Pack 1, the Microsoft®.NET Framework, and Microsoft® Visual Web Developer 2008 Express Edition with Service Pack 1. Web PI also provides an interface to the Windows Web App Gallery, a community-driven hub of the most popular open-source and community Web applications that run on Windows. Accessible from anywhere through the Microsoft Web Platform site, the Windows Web App Gallery provides a streamlined way for users to explore, discover, and install Microsoft® ASP.NET, PHP, and other types of Web applications for the Windows operating system, providing Web developers with access to millions of Web users worldwide. The Windows Web App Gallery lets developers submit their own applications for inclusion; once accepted, a Web application can appear in Web PI for anyone to download.